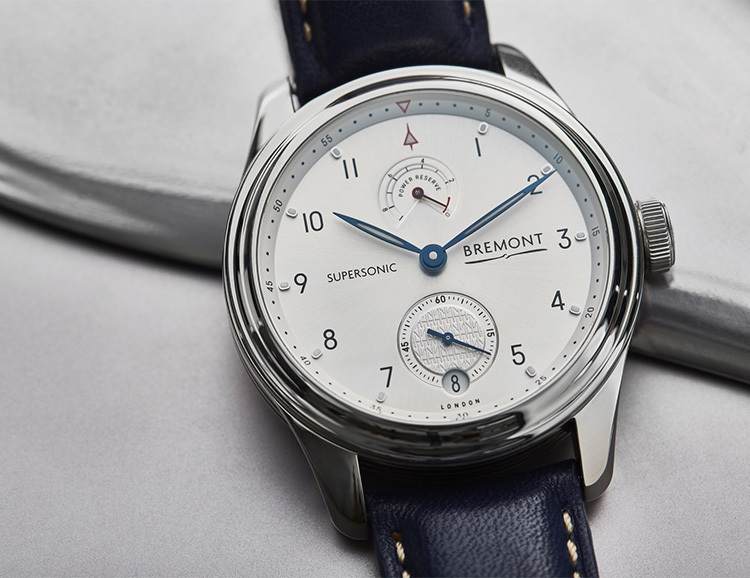 To celebrate the 50th anniversary of the iconic British Airways Concorde, the Bremont Supersonic takes its inspiration from the supersonic aircraft that changed Transatlantic travel forever. The sleek 43mm manual watch even incorporates aluminum from the actual aircraft; a decorated ring visible through the case back. The strap is Concorde blue leather & only 500 of these commemorative models will be produced.